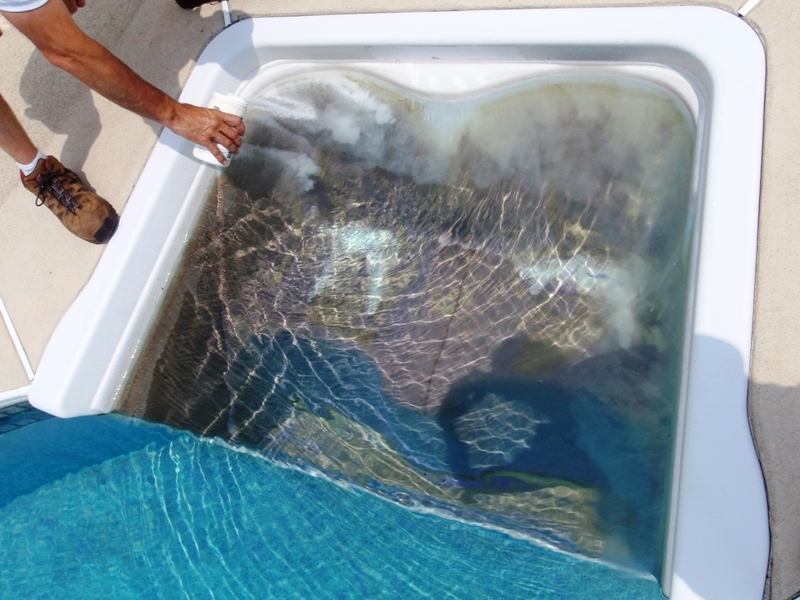 During – Using chemicals to remove the iron stain. 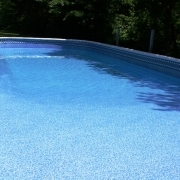 After – Iron stain removed in less than five minutes. 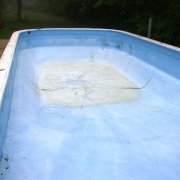 BEFORE - 40+ year old concrete pool. 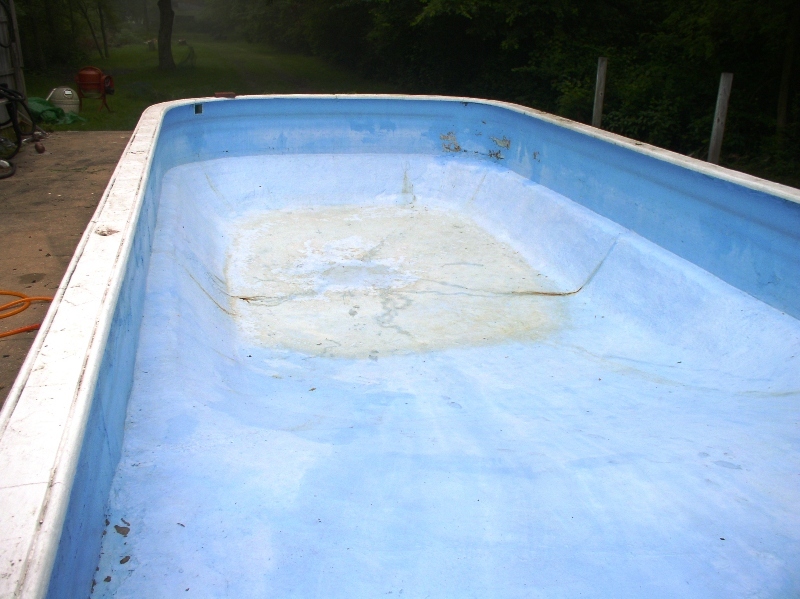 AFTER - 40+ year old concrete pool with a new vinyl liner. 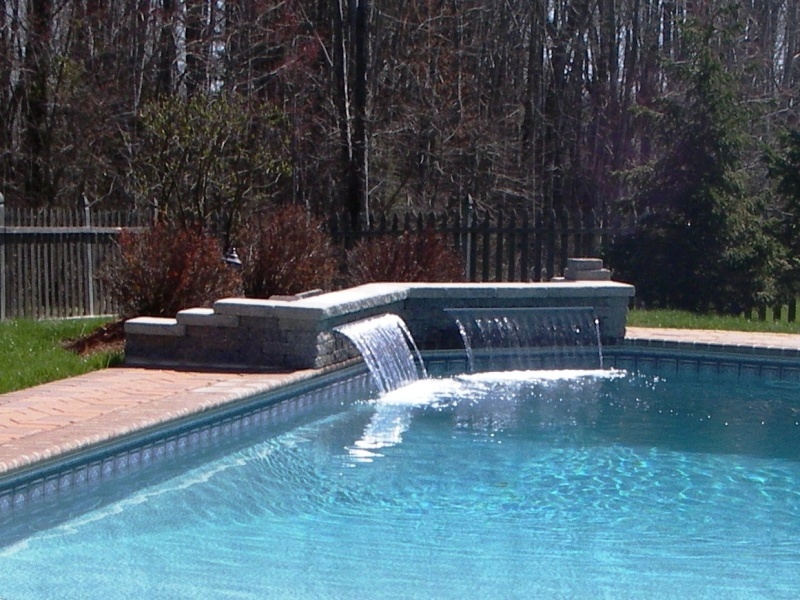 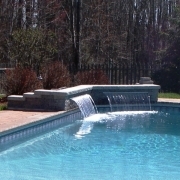 Sheer decent water feature installed after original pool installation. 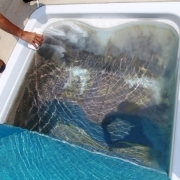 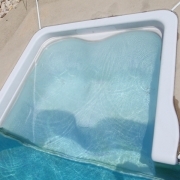 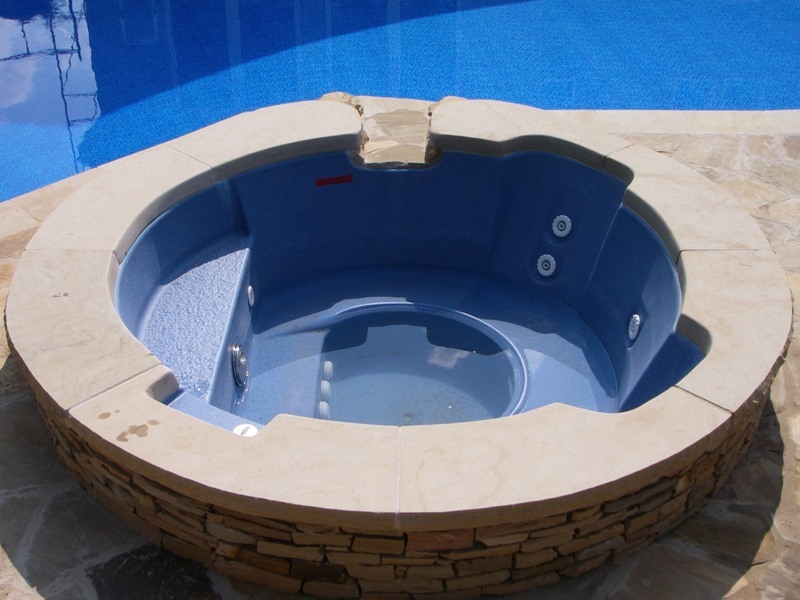 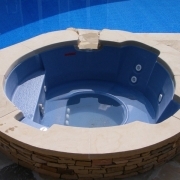 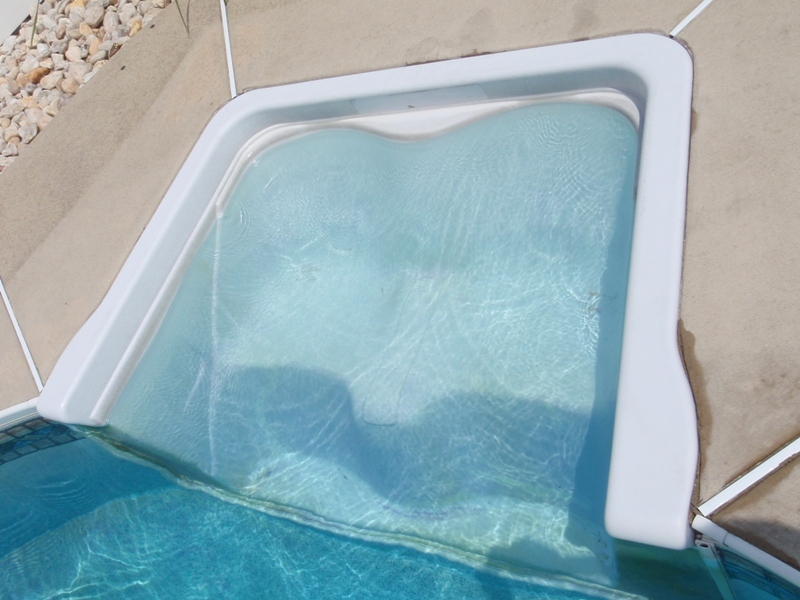 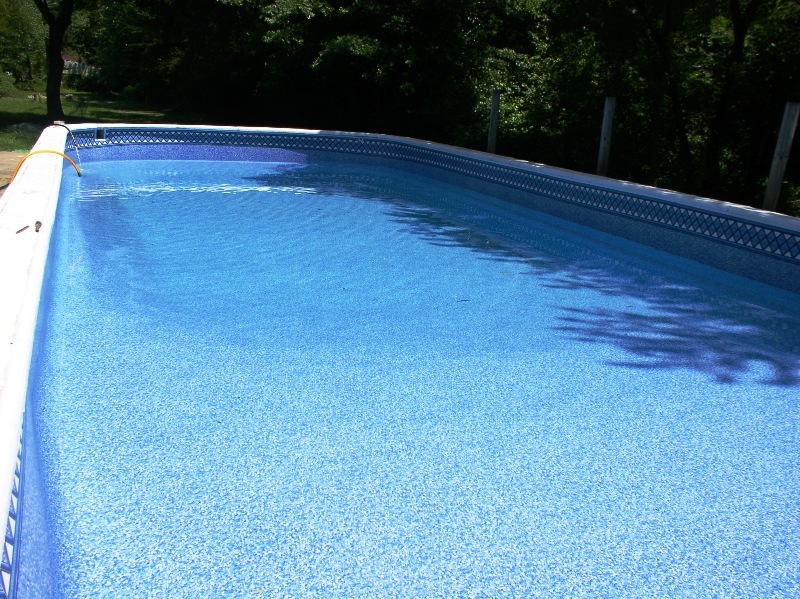 Spill-over spa added to a vinyl liner pool when doing renovation. 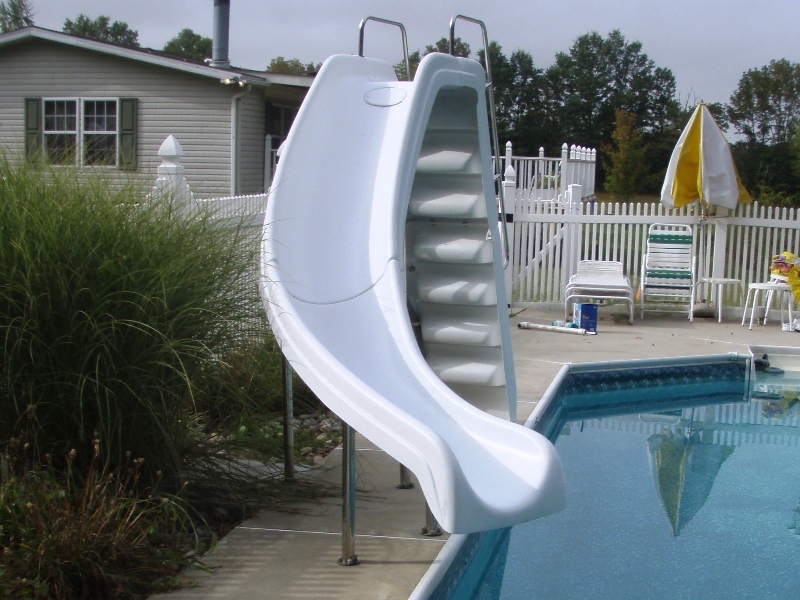 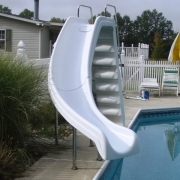 Sliding board installed years after pool was built.